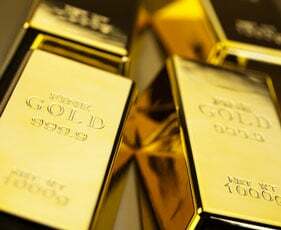 While paper gold traders can’t seem to dump the precious metal fast enough, physical gold demand is soaring around the world. India retail premiums are spiking (amid demonetization), local China premiums soar to a 3-year-high (as capital controls loom), and coin sales from the US Mint have risen for the 4th straight month, accelerating post-election to the highest since July 2015 since Trump’s victory at the election. The import curbs may be part of China’s efforts to limit outflows of the yuan after the currency’s slide to its weakest in more than eight years, traders say. China allows only 15 banks to import gold, including three foreign lenders. “There is severe restriction on the banks’ quota to import gold into China. Each one of them have to justify their need,” a Hong Kong-based banker said. Gold was sold in China at about $24 an ounce above the international spot benchmark this week. Premiums went as high as $30 last week, the most since January 2014,according to Thomson Reuters data. “Supply has been limited and so the premiums have held firm,” said Cameron Alexander, analyst with Thomson Reuters-owned metals consultancy GFMS. But it’t not just Asia. So unlike with stocks where higher prices create higher demand, some level of economic rationality remains in precious metals as physical bullion demand reacts to take advantage of low prices to buy more.